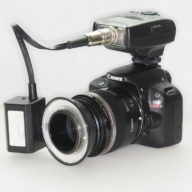 Canon t7i Dental Camera kit - Dine Corp. The Canon Rebel t7i with Dine’s Mini Ring and Point Flash and 90mm lens w/dental standardization guide is an ideal solution for dental photography. The Canon t7i body offers touch screen control over the menu system as well as a rotating rear LCD screen allowing for added flexibility in terms of holding and angling the camera. When coupled with Dine’s unique lens and flash system, the Canon t7i dental kit photographs a full range of clinical subject from posterior quadrants to facials. 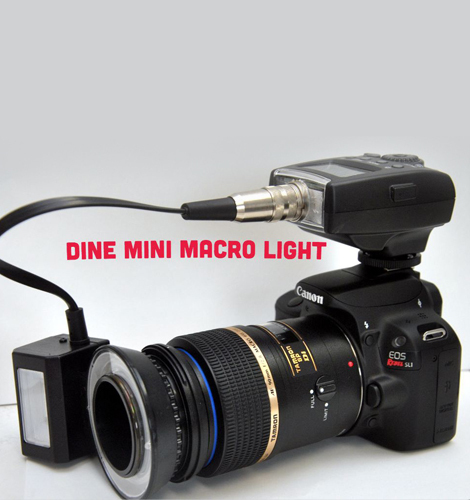 Dine’s Mini Ring and Point Flash combines the two ideal flashes for dental photography. The Ring flash for intra-orals and point flash from facials. 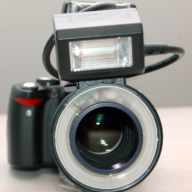 Users choose between flashes with the flip of a switch. For gorgeous, high-quality photos and videos that are easy to share, look to the Canon EOS Rebel T7i camera. The EOS Rebel T7i does more, easier, making capturing photos and shooting videos a breeze. Its high-resolution 24.2 Megapixel CMOS (APS-C) sensor means finely detailed, crisp and natural-looking photographs. 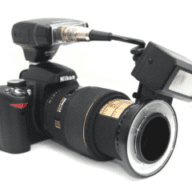 An updated light-metering system means well-exposed images. HD videos are effortless with the EOS Rebel T7i’s advanced AF that provides speedy and precise focus on subjects. Canon’s advanced EOS Scene Analysis system automatically adjusts the camera’s settings to produce the best results whether shooting friends, landscapes, sports scenes and in tricky light situations. A first ever for the EOS Rebel line, built-in Wi-Fi® and NFC are now available! Wireless connectivity provides a seamless way to exchange images and movies with compatible devices. It’s easier and more convenient than ever to share movies and photos, no matter the location. Near Field Communication* (NFC) allows for easy pairing with compatible Android™ devices** and Canon’s new Connect Station CS100 device! With fast performance in a number of shooting environments, the EOS Rebel T7i does the hard work, letting you focus on making gorgeous photos and HD movies. The new Canon T7i system works great with Tamron 90mm macro lens with Dine’s dental standardization guide allowing users to accomplish the full range of dental photography from portraits to intra-orals without having to change lenses.